The imprisoned former military ruler is seeking damages and profits from the publisher. The game earned over $1 billion in sales in the first two weeks after it hit stores in November 2012; presumably none of which found its way to Panama’s El Renacer prison, where Noriega currently resides for crimes committed during his time in power. “But Noriega isn’t a US citizen or even a resident. This means that his legal claim becomes questionable, because it’s unclear on what legal basis he can actually bring a case against Activision,” Purewal further explained. 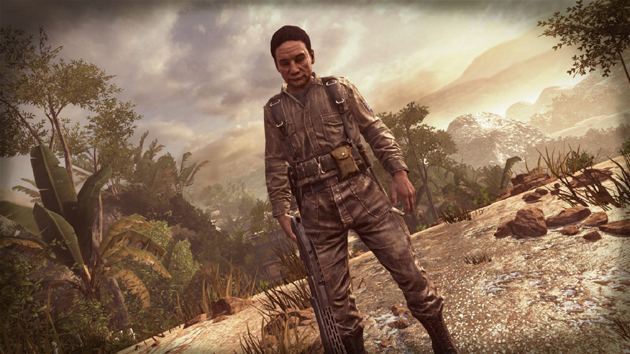 In Call of Duty: Black Ops II, Noriega initially helps the CIA, but later turns on them. Noriega, of course, did work as a CIA informant in the 80s. However, the US ceased association with him due to his violent reign, and eventually invaded Panama and captured him. He served 17 years in prison in Miami after being convicted on eight counts of drug trafficking, racketeering, and money laundering. He then was extradited to France, to face charges there, before eventually landing back in Panama where he will likely live out the remainder of his life in prison. The below clip features the former dictator in all his pixelated glory, and his PeekYou profile will provide the chance to explore him in many other digital forms.